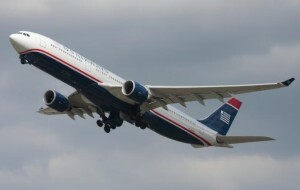 Much of the news flying around the blogs these days is the fact that US Airways is not charging exorbitant fuel charges for redemptions on British Airways awards. This was covered pretty extensively in a piece written by The Points Guy. Basically what he did was to price out an award by looking at American Airlines and British Airways and compared the results to US Airways redemptions. For the present, it appears that US Airways redemptions are far more reasonable and affordable than either British Airways or even American (which is still better than BA). With all of that in mind, it may be time to revisit your thinking on the US Airways MasterCard if you do not already have one. The basic offer has just increased to 40,000 miles on first spend. 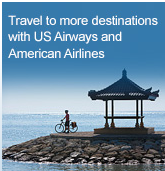 The $89 yearly fee is not waived… but 40,000 miles for $89 is a good deal. However, the benefit I like the most is that when you are booking an award ticket on US Airways, the card gives you a 5,000 mile discount off the amount of award miles needed. So, if you are wanting to take advantage of a BA award flight that is affordable and have a great credit card in your wallet… then the US Airways MasterCard might be just the one you need! 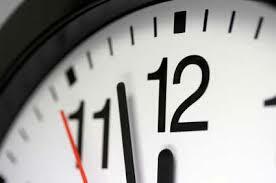 Disclosure: I do receive a commission if you are approved for a credit card using one of my affiliate links. Thanks so much for your support. 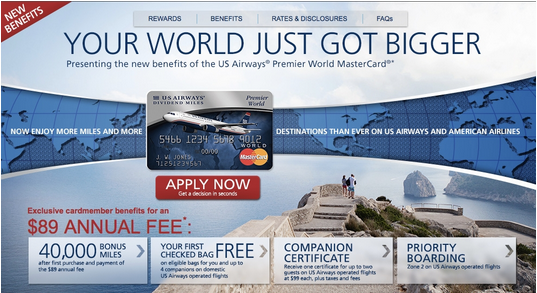 6 Comments on "A Better US Airways MasterCard"
The offer has been 40k for a while. What’s changed is them paying affiliates for it. Nothing new for the general public. The offer that has been around for a while was a 30K card with an additional 10K after a spend or balance transfer. This card contains all of the new benefits – and a flat 40K bonus – no minimum spend is required. Our affiliate program has had no changes. There is a 30k + 10k offer with no annual fee, much better than this deal. According to the latest updates on FlyerTalk the 30k+10k waived annual fee card link no longer works. And, as a data point, I had the no annual fee card for a while and only received one mile per $2 spend. YMMV. Also, even though some of the cards are offered with a 10K anniversary bonus, Barclay’s has been known to not award them – I know that for a fact. As these 40K miles are guaranteed, and the benefits have improved, I stand by my statement – this is a better card. It actually is a different offer, and a better one too! 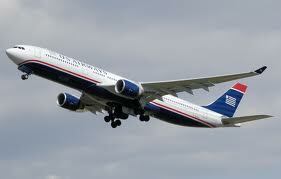 For starters, you now get the complimentary checked bag on US Airways which is very new. Also, the past offer has always been, as Carolina Travel Girl previously mentioned, 30K bonus after first purchase and the remaining 10K needed to be earned via balance transfers. Now, it’s actually a 40k bonus outright after the first purchase. No need for balance transfers.